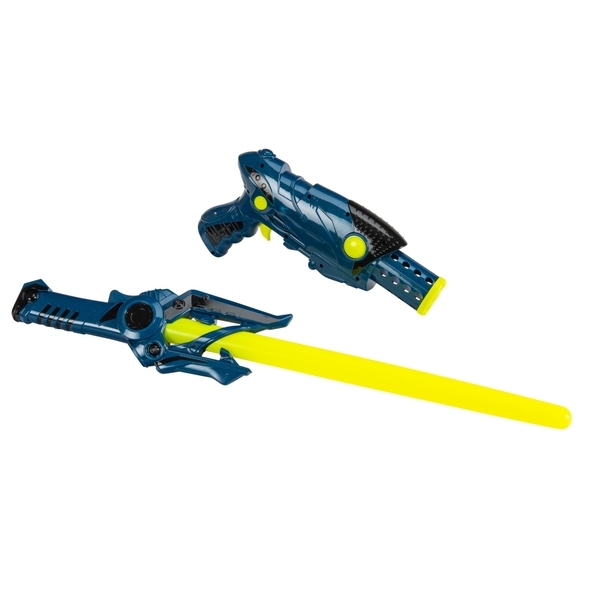 Be the ultimate Space Defender with this Space Gun and Sword Set. Pull the trigger of your Space Gun and activate the safety lights and sound. Fight off evil space monsters with your very own Space Sword. Hours of fun and adventures with this 6th Generation Gun and Sword Set. Styles may vary.